No one wants to look like that James Bond villain with the steel teeth. With the use of white fillings, your smile will remain white and natural looking with no unsightly metal fillings. In the past, dentists used metal amalgam fillings because of their strength and durability. Today’s advances in modern dental materials and techniques allow teeth to be restored with a more cosmetically natural appearance that is just as strong and durable. Composite fillings are made with a white resin material that bonds with the tooth structure and mimics the look and feel of natural enamel. You cannot feel or taste any difference. White fillings reach their full strength immediately after the procedure, allowing you to eat as soon as you leave the office. After the decayed material is removed from the tooth, composite resin fills the cavity without requiring any further shaping. Metal fillings do not bond with the tooth and can actually weaken the structure of the tooth causing more damage. Composite, however, bonds directly to the surface of the tooth, becomes much harder and strengthens the integrity of the natural tooth. For a more cosmetic look to your smile, white fillings can also replace existing metal amalgam fillings. 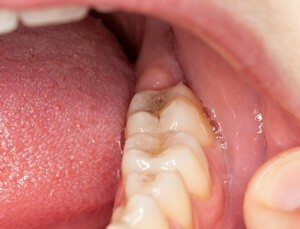 The old fillings are simply removed and replaced with the newer, and more durable composite. This may also be necessary if your metal fillings are causing pressure or weakening the structure of your tooth. White fillings will give you teeth that are not only stronger and healthier, but whiter, brighter and much more attractive.